There have been some significant changes to the gaming and hospitality landscape over the past years with further changes poised to change even further. 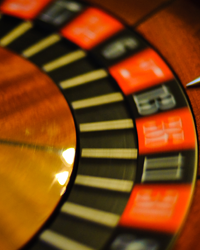 With the government pushing to increase tourism the Casino sector is embarking on a new frontier. Queensland currently has more casinos than any other state in Australia and the Queensland Government is relying on new licences to attract tourism especially the Chinese market. Echo entertainment being the current licence holder in Brisbane have joined forces with a Hong Kong developer Chow Tai Fook for the new Brisbane licence. Chow Tai Fook currently owns 10% of the Stanley Ho’s gaming empire as well as being a major shareholder in Macau junket promoter Suncity Group. Going head to head with Echo is Jamie Packer’s Crown Resort who have also joined forces in the bid with Greenland Holding Group a developer with revenues of nearly $US54 billion last year. Alongside the Brisbane bid Gold Coast and Cairns is also set to receive a makeover with Mr Fung’s $8.15 billion Aquis casino resort at Yorkeys Knob, north of Cairns and ASF’s $7.5 billion Broadwater Marine project, on the northern end of the Gold Coast. While the changes to the Casino may be largely targeted towards the tourism sector there will be no doubt locals will be attracted by the options within the entertainment precinct. To expand further on the changing landscape the industry has also seen major changes aligned with the developers of gaming machines. IGT one of the largest gaming manufacturers in the world have recently been purchased for $6.4 billion, the deal is the latest of several recent moves toward consolidation among traditional gambling-equipment makers in the face of rapid growth in online gaming. The combination will create the world’s biggest lottery operator and global-gaming equipment company. Another key change has been the merger of Bally Technologies and Scientific games based in Las Vegas. Bally Technologies makes slot machines, video lottery systems, table games and other products. The portfolio of Scientific Games, whose headquarters are in New York, includes instant lottery tickets, electronic gaming machines, sports betting technology as well as loyalty and rewards programs. Both companies are offering or acquiring online and interactive games via social media to capture more of the Internet gaming market. Bally is also expanding its operations in Asia as new casinos and gambling centers open there. Their core customers (low-end gamblers) have been walloped by the weak domestic economy and competition from online gaming and they, like many of our clubs and pubs, also face the challenge of catering to a new generation of players. There is no doubt the broader industry is consolidating and these changes amongst others will create further opportunities and threats. The land-based gaming industry has been somewhat flat over the past few years and now more than ever venues must be in a position to provide the very best entertainment experience to customers. We have had a number of wins in regards to legislation changes but is it enough? With a new election in the not so distant future we must continue to push for changes that will assist venues to provide the same level of experience as our counterparts (Casinos and Online Gaming).